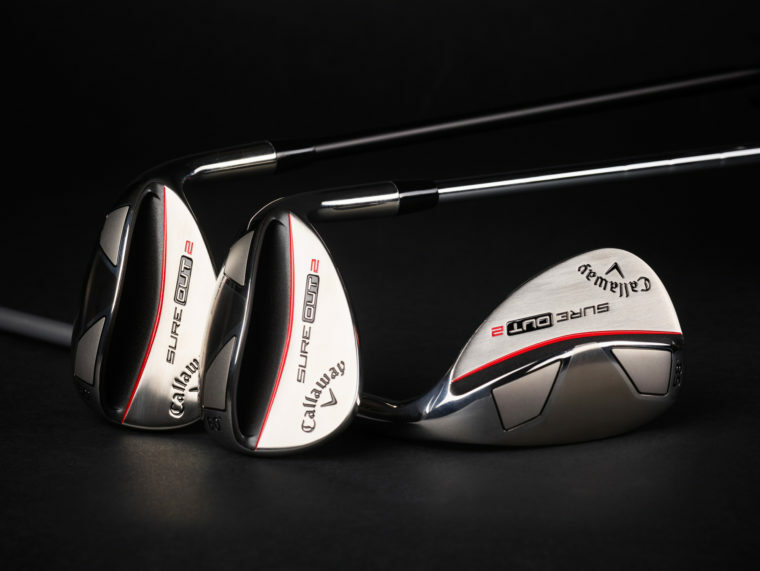 Today Callaway Golf officially announced their new Sure Out 2 Wedges, which are designed to help make any short game shot incredibly easy to play from the sand, fairway, or rough. They will be available nationwide this Friday, April 12th. The Sure Out 2 is the highly anticipated follow up to our popular Sure Out lineup. The key to its performance is the enhanced sole design with increased heel relief. Coupled with a confidence-inspiring shape at address and aggressive full face grooves, the Sure Out 2 will help you get out, and get up and down. – Better Playability From All Lies – We’ve strategically enhanced the sole radius, bounce angle and added more heel relief to accommodate a wider variety of players. This makes it easier to execute short game shots that help golfers get closer to the hole. 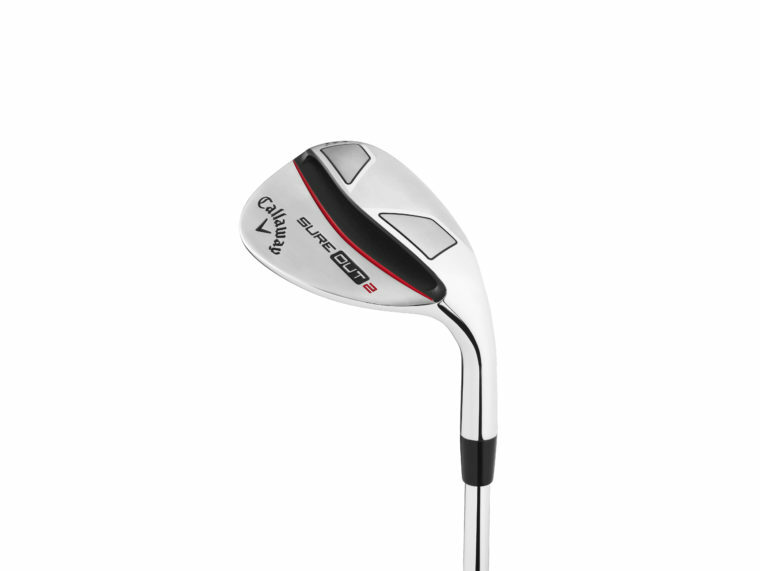 – Full-Face Grooves – The Sure Out 2 offers 17 full-face grooves featuring an aggressive groove pattern which allows golfers to stop their shots quickly. From short chips to full swings we expect golfers to gain control and confidence on any shot. – New Lamkin Step Down Grip – In collaboration with Lamkin we’ve designed the New Step Down grip for easy shot selection and total distance control. 3 “Step Down” markings are located on the grip to make the short game easy and minimize “guess work”. – Full Offering Line-up – Sure Out 2 is offered in a wide variety of lofts: 56, 58, 60, and 64 in both Right and Left hand options. In addition a premium line up of shafts are offered: KBS Wedge 90 Steel, UST Mamiya 65 Graphite and Fujikura Women’s 50 graphite.